The Manchester Arena bombing had a devastating impact on those who were at the Adriana Grande concert that evening. Witnesses of the event were also left traumatized. Months have passed and yet we still read about the impact of this event on the lives of those affected by this horrific event. EFT and Mindfulness Based Inner RePatterning are powerful techniques. 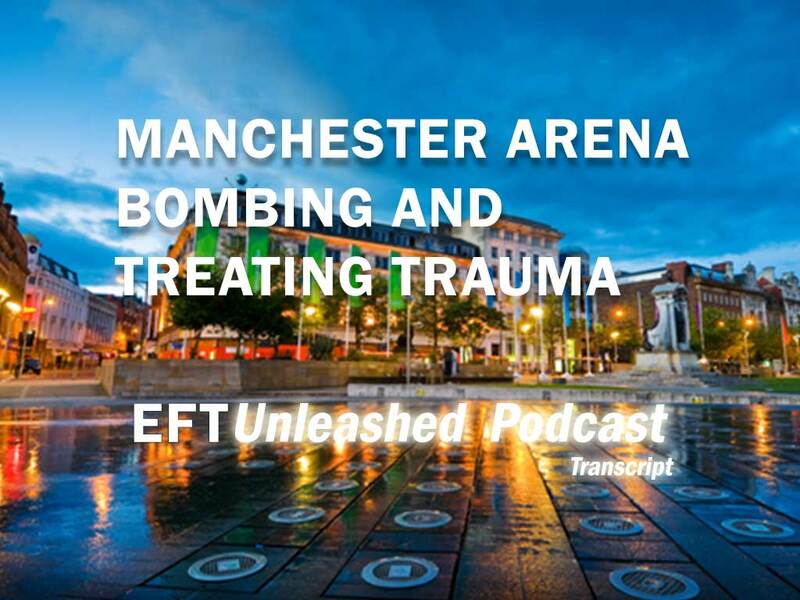 In this interview with Jane Silver, a psychotherapist in Manchester, she talks about the work she has done helping survivors overcome the post trauma impact of the Arena bombing. She also talks about how you can help people in the immediate aftermath of events such as these recover from the shock and as a result lessen their chance of getting post traumatic disorder afterwards. She also talks about the techniques she has found to be the lost useful in dealing with the aftermath of psychological trauma. 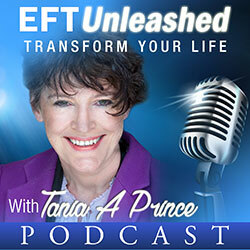 TANIA: My guest today is Jane Silver, who is an expert in the field of trauma. She works with adults and children. And her clients have ranged from the age of 10 to 78 years old. So welcome Jane. TANIA: So thank you for agreeing to be my guest on the show here today. TANIA: Absolutely. And I’m sure people listening to this will be very interested in what drew you to working with trauma. JANE: I’ve been working with trauma for a while and more recently actually following the Manchester Evening News Arena attack. I had an urge to go and help those who I believe were going to be suffering from the effects of psychological shock. So they weren’t injured physically, but I knew that there will be lots of people here who are really, really suffering. And it was there that I joined with a local charity called the Heads Up CIO. The charity—their aim was really to help as many people as possible who were suffering with the effects of psychological shock or cognitive freeze. And that is people, that basically are frozen on the spot and can’t move due to the shock. And I’m actually fortunate enough to be trained by the actual founder, who developed a new protocol called Cognitive Psychological First Aid. 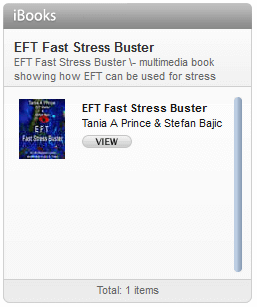 That basically is a treatment for Acute Stress Reaction. And it’s basically used on scene or the closest possible safe location, where the actually trauma has taken place. It’s best used as soon as possible—so optimally within the first six hours of trauma taking place, but up until and including 72 hours following the trauma. Anybody can actually administer it. You don’t actually have to be a therapist to administer the Cognitive Psychological First Aid. And it basically returns everybody quite rapidly to effective functioning. TANIA: Alright, which is fascinating. That compelling need to help after that bomb incident in Manchester, because I come from this area as well, but you had that compelling need to help and you found these people there. I’m sure people listening to this will be fascinated in how that technique works. Because that is a technique as you said that you have to apply it very quickly, but it has some very powerful results. JANE: Yeah, absolutely. I have some amazing results; it works really, really quickly. And it’s based on a model used by a doctor, who was actually Israeli and he brought this—he basically brought a team of Israelis to the UK and trained around 90 qualified therapists in basically using this technique. He has done extensive research over there and he developed what we call the six Cs model. And the six Cs model stands for Communication, Cognitive—verbal communication to be precise, Challenge, Control, Commitment and Continuity. Cognitive Verbal Communication, it reduces what we call Amygdala which is the fight or flight response hyperactivity. Which then increases how we activate our cognition and logic. So when this occurs basically any individual is able to think more clearly, set their priorities and make more effective decisions. TANIA: Alright, so as you said this particular approach is really—I mean there is a really good name for it isn’t it, First-Aid is it called? JANE: Yeah. Cognitive Psychological First Aid. And we use the initial CPFA. TANIA: Alright. So if, say I was the person—hopefully that’s never going to happen to me. JANE: Hopefully never but you never know. I mean this protocol can be used even in simple things like car accidents, when people freeze on the spot and they don’t actually know what to do and then they end up getting themselves into more danger, whereas if they knew how to use this protocol they would be able to think clearly for themselves and basically build some resilience, because we do believe that resilient individuals has capacity to respond and adapt to whatever comes their way, even when their emotions are high. TANIA: So if I was a person who just experienced some kind of trauma and you were going to treat me, so you’re there on the scene, what would you do—what would be the first thing that you would do with me? JANE: Well, the first thing that I would do, in the UK the very British public would put their arms around the person’s shoulder and ask if they’re okay. Actually that is one of the things that we don’t do and the reason that we don’t do that is because it actually takes them further into shock. So it’s really important that we pace and basically mirror the other person’s behavior—so if they’re sitting we would sit with them, and if they’re standing we would stand with them, if they’re walking we would walk with them etcetera—just basically copying their behavior. And then get into what we call Cognitive Communication. So we would maybe ask their name and then also tell them what our name is and what our position is—so my name is Jane and I’m here to help you, what’s your name. And often they can’t answer because if they’re shocked they don’t know where they are. And at that point I would obviously say something like, I’m with you and I won’t leave you alone till this trauma is either finished or till we get you to a safe place. JANE: If there is no verbal communication—so if they’re not speaking—if they can’t speak then what I would do is I would maybe get hold their hand and squeeze it and ask them to squeeze my hand back, if they felt whenever they felt their hand being squeezed—so I would get a hold of their hand and squeeze it and I would say to them, I am squeezing your hand, squeeze my hand back. I’m squeezing your hand, squeeze my hand back. And by doing that you are creating what we call, Indirect Communication. And then I would maybe give them some simple challenges and control. So, would you like to sit or would you like to stand. Do you want to put your hat on or do you want to put your coat on first. Just give them simple tasks and allow them to gently get up and then I would follow them from behind, so if there was anywhere where they could get a glass of water I might say—go and get a glass of water, I’m right behind you. Or if there isn’t—maybe take out your mobile phone and give them instructions to call—to give me a name of somebody that we could call. But by doing simple tasks and challenging and controlling then I’m doing basically asking them simple questions, then it brings them back into cognition. Following that is very important to continuity—we basically put the time frame in order, so we would [put] the past, the present and the future—simple questions like, you’ve been in a car accident perhaps or you’ve been in an arena attack and you’re here now safe in this particular place and we’re going to get you back home as quickly as possible. So you are basically framing the past, the present and the future. And then maybe you’ll ask them some simple close questions of yes, and yes answers only. Do you have your keys, do you have your mobile phone, and do you have your glasses, your wallet, and your hat etcetera. And then recruit them actively to help and assist others if necessary. So if there are other people around them, then you would maybe recruit them to actively then take part in helping somebody else. Because what we found actually is that psychological trauma often happens when you have a sense of helplessness. And if you reduce the sense of helplessness and make them feel helpful, then psychological trauma doesn’t necessarily manifest itself in post trauma. TANIA: Which is excellent, isn’t it really, dealing with one of the core emotions beneath this stuff. JANE: Yeah, absolutely. You’re dealing with that terrible feeling of helplessness. What do you I do now? Where do I go? What’s happening? And when you have that real sense of helplessness that’s often what creates the post trauma (problem), yeah. TANIA: You said about not putting your arms around someone. Is there anything else that we should not do? JANE: Making them feel like they’re not able to manage themselves. The simple thing of taking somebody with psychological trauma to a hospital is actually saying to them, they’re ill. But actually psychological shock is—you’re not ill. But you have to activate their brain, so that they feel perfectly able to continue carry on with life and just live normally, they’re not actually ill. So if they were to turn up at hospital where the doctor said—the doctors often don’t know what to do with them. They may medicate them or they may put them on stretcher by merely by putting them on stretcher that is taking them further into emotion and we need to be taking them out of emotion in order to have effective functioning. Can I just say that, clients who are functioning, they still may need some assessment by specific medical or psychological professionals, but if they’re not physically injured and it’s psychological injury then we can actually control that. TANIA: So like you said, this is something that would be done in immediate aftermath of the trauma. JANE: Very quickly, yeah absolutely. TANIA: Alright. However you don’t just work with people in that particular scenario, you actually work with people who actually have been impacted by trauma and maybe they’re coming weeks after those events. TANIA: Tell me a little bit about that. JANE: Right. So there are lots of interventions that I personally use. There is something called Memory Structure Intervention, which is actually building bridges if there is pieces of information missing. So lots of people who are traumatized can’t remember maybe not in the right order or they can’t remember what happened, so they have gaps of knowledge that are missing. We can basically rebuild that using a bridge—okay so that’s called Memory Structure Intervention. 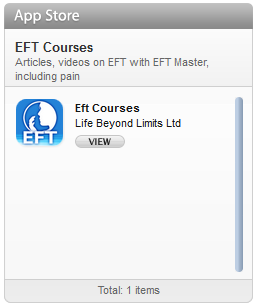 I’m also an EFT practitioner, which really is very useful in the treatment of trauma, as is something new to me really the Mindfulness Based Inner RePatterning, which has proved to be absolutely brilliant in the use of trauma too. TANIA: Maybe you could share some stories that would be okay for you to share with us. JANE: Yeah, obviously with client confidentiality, we will obviously not mention any names or anything like that. I have a client—a university student who arrived at university, got fantastic grades, first place—first choice at the university and she came to me with this enormous cloud she described as sadness—that’s the only way she could describe it, she didn’t know why she was sad, she had a good family, she was—everything was going for her, she was very positive person normally, but this cloud of sadness was just stopping her from enjoying university life. And we’d done some work around a little bit of EFT, but recently I used the Mindfulness Based Inner RePatterning, where we separated the parts—the sadness parts from her and the results were absolutely incredible. She remembers herself as a little girl, trauma that she’s experienced in the past all came back to her, and she came out just saying, oh I don’t feel sad anymore, and she was actually beaming, laughing, she said I feel so happy, this is how I used to feel. And that’s just one example of some of the stuff that we can do to change people’s life really. So I’m very privileged to be in a position to be able to work in that arena and then I’m very happy that I can help to give people the things that they need to live a full and happy life. TANIA: You’ve worked with a lot of people—and thank you for sharing that by the way, that’s beautiful. I think it’s—if I go to that for a second, I come across a lot of people who go off to university and have some very unusual emotional reactions to that. JANE: Yeah, absolutely. And I think a lot of it is to do with the fact that—I hate to say it, but we are not giving our kids the resilience that they need to live alone, by themselves. They are permanently connected to social media, to life, parents are very over protective—through no fault of their own just through things they’ve learned through media etcetera and they turn up at university and they think, oh I’m all alone, I’m lonely, there is nobody there for me and we’re not actually building the resilience that’s needed for them to live their lives in the manner to which they want to live. TANIA: But there are very powerful techniques out there that can help them isn’t it really? TANIA: Coming back to some of the post trauma work that you have done and specifically because we are around Manchester and that was—relatively speaking a recent thing—why are you finding is the impact now? How are people being effected now by that, who haven’t as yet may be have treatment or just seeking it at this point in time. JANE: Okay, so six months down the line, we have people who are experiencing nightmares, people who have memory problems, flashbacks, all of that type of stuff is happening right here, right now. A lot of the children are not focusing at school, they’re still struggling at school quite badly—some people they can’t focus. Noises that—even things like fire alarm bells at school are having a massive impact on some of the children. So there is lots of stuff that we can do to reduce those symptoms and in fact eliminate them. But they are not getting the right help—these children are not getting the right support and the right help that they need. I mean there are lots of therapists out there, there are lots of people doing things like Cognitive Behavioral Therapy, person centered counseling etcetera, but that’s not actually getting to the root cause of the problem. TANIA: Yeah, because it comes down to the trauma—what you’re looking at is trauma experts required, isn’t it? TANIA: I’ve seen some very interesting things on the TV, when they’ve done interviews post trauma and people will say things like, I can never get that memory out of my mind. JANE: Yeah, absolutely. That’s really common—that’s a common saying. I can’t get that memory out of my head and that memory is going to live with me forever. TANIA: Yeah, but we know different don’t we? JANE: Yeah absolutely, absolutely. There are some fantastic techniques out there, there really are, but as I said, with trauma you have to find the expert, you can’t be seeing a normal—I mean there’s fantastic therapists out there, don’t get me wrong, but you need to specialize in trauma, you need to have the right technique in order to eliminate the actual memory or certainly make it a lot more live able with, but as you said with these techniques EFT and MBIR Mindfulness Based Inner RePatterning technique you can actually get rid of it. TANIA: As it is not happening now. And when you pull up an old memory—old memories look different then stuff that your mind still thinks is happening, isn’t it? TANIA: And that’s the power of these kind of techniques. They actually can help the mind archive the old information from the trauma. That’s why the images, they don’t have to stay with you. JANE: No, definitely not, we can actually completely get rid of them. And I’ve had huge success using all of these things both out in the field and on call as a private psychotherapist working in practice. We’ve come on leaps and bounds if you like in the fields of trauma and now bringing trauma almost back down to within six hours, you can actually reduce or I’m a real stronger believer that you can actually reduce and definitely lower the risk of Post Traumatic Stress Disorder, especially if we get that intervention into schools and anywhere we think—security guards, the spy services and into the police force—if we get these interventions learnt by anybody then we can reduce the impact of that quite significantly before it even gets to Post Traumatic Stress Disorder. TANIA: You’re talking about the Psychological First Aid, there aren’t you? JANE: Yes, the First Aid yeah, absolutely. But if it does get into Post Traumatic Stress Disorder then there are definitely techniques that we can use to eliminate all of that—all of these memories. TANIA: What I love about that is, with the immediate first aid thing is, you’re going at very key emotions, helplessness because that can be a precursor for post traumatic stress, can’t it? TANIA: So, thank you very much for sharing all your knowledge here today. So if people want to find you and hear more about your work, how would they find you Jane? JANE: Okay, so they can contact me by email on [email protected] and we’re in the process of setting up some new information, new website and things, but if people are interested and if they contact me by for instance by email then we can send them any relevant information that they want or need. TANIA: Is there any other way they can contact you? JANE: They can call me. TANIA: Right, well, we’ll leave the call. Let’s settle with email right now. That would be excellent. So people can go and find you through that email and that would be brilliant. JANE: Yeah and they can also—probably the best way to get hold of me for now. TANIA: Yeah, we’ll put the information out on my website, when I upload this podcast to that, so people can also probably find information about Jane and the work she does there. So thank you very much for coming on this call with me today. JANE: No problem. It’s been my pleasure. TANIA: Thank you again for all that work you do out there as well.